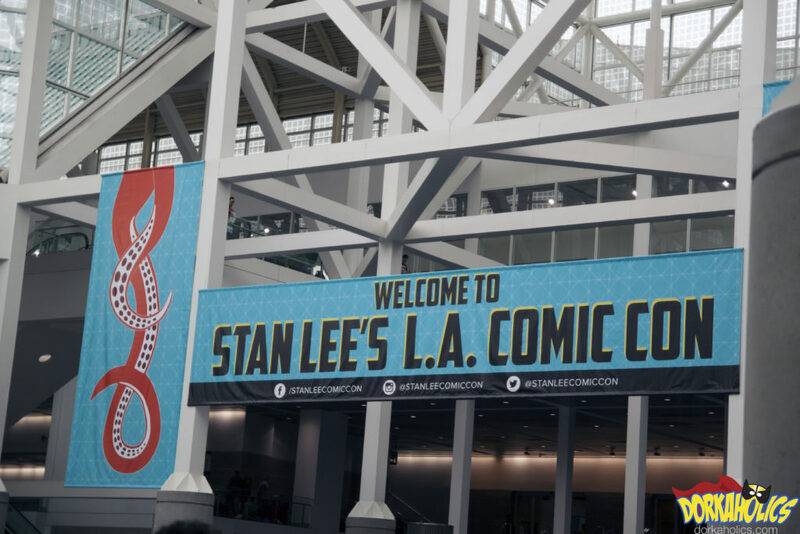 Stan Lee’s Los Angeles Comic Con. Photo by Neil Bui. I’ve been taking photos at conventions for the last couple of months now, but this past weekend at Stan Lee’s Los Angeles Comic Con was my first time with a press badge. Let me tell you something, the all-caps letters spelling PRESS definitely gets people’s attentions. Here are the best pictures I was able to snap this weekend on my camera. 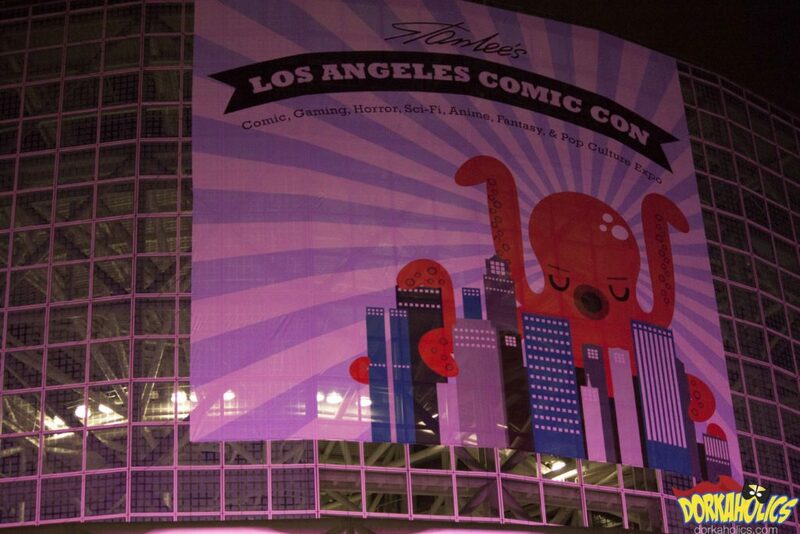 The outside of the Los Angeles Convention Center this past weekend. Photo by Neil Bui. 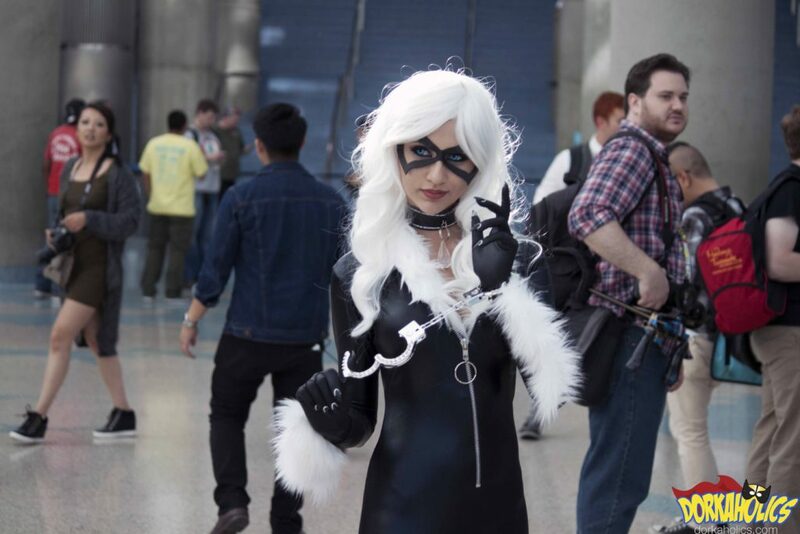 A Black Cat cosplayer. Photo by Neil Bui. 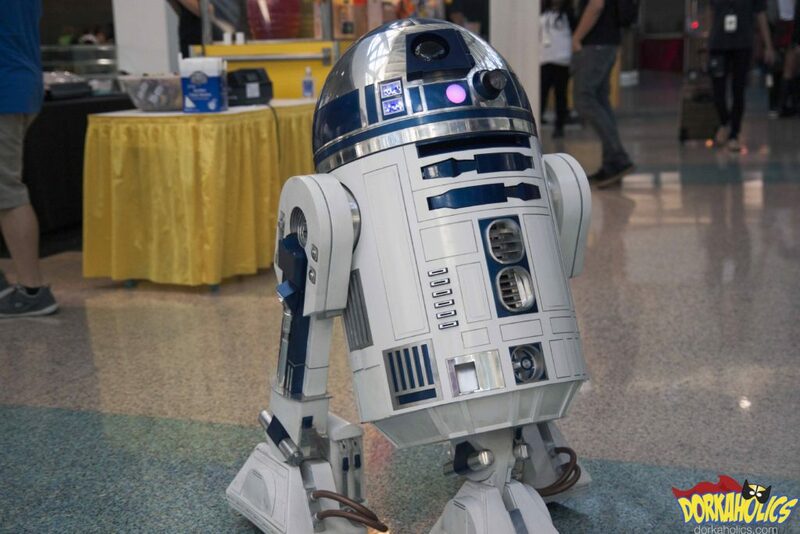 R2-D2 just hanging out. Photo by Neil Bui. 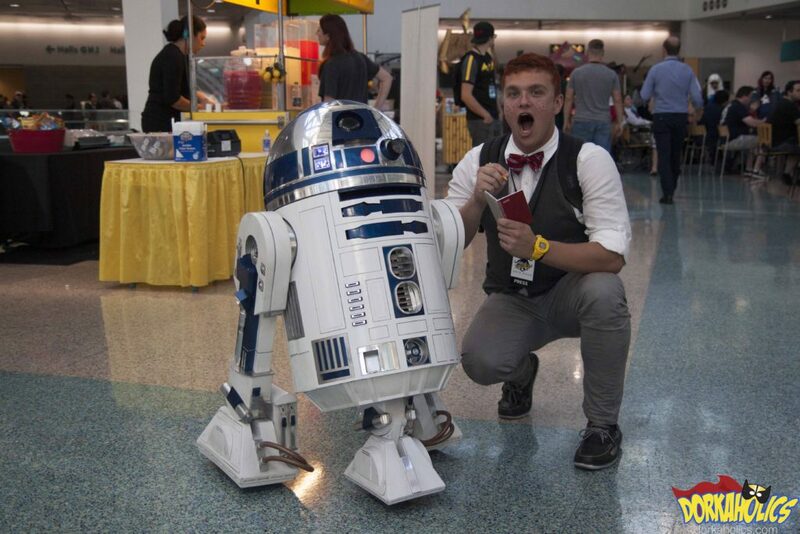 DORKAHOLICS’ Jimmy Olsen tries to get a word from R2-D2. Photo by Neil Bui. 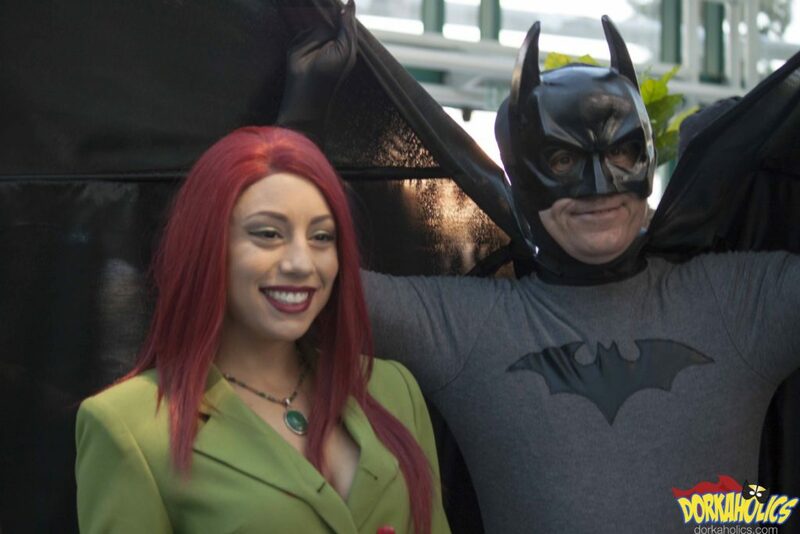 Batman and Poison Ivy. Photo by Neil Bui. 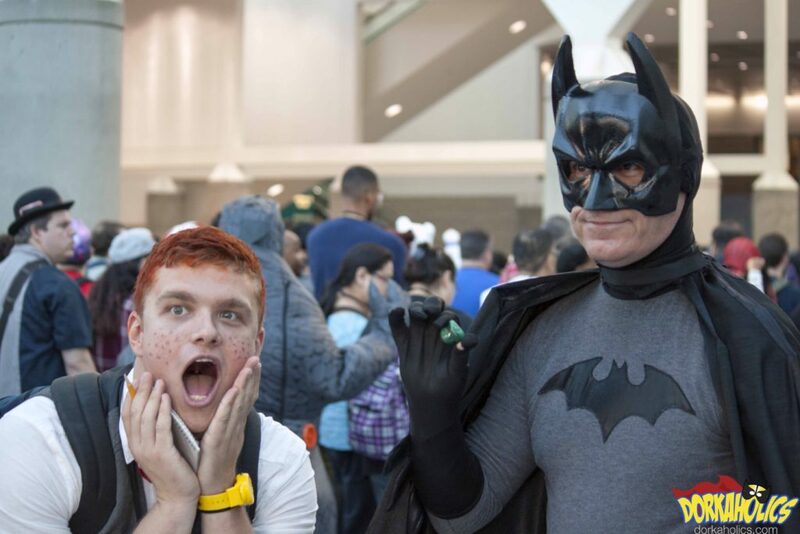 Jimmy Olsen fanboying over meeting the Dark Knight. Photo by Neil Bui. 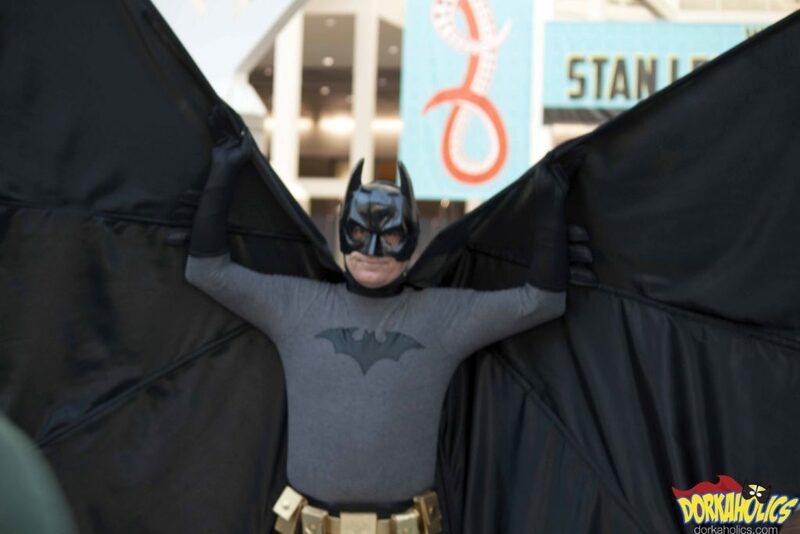 The Caped Crusader. Photo by Neil Bui. 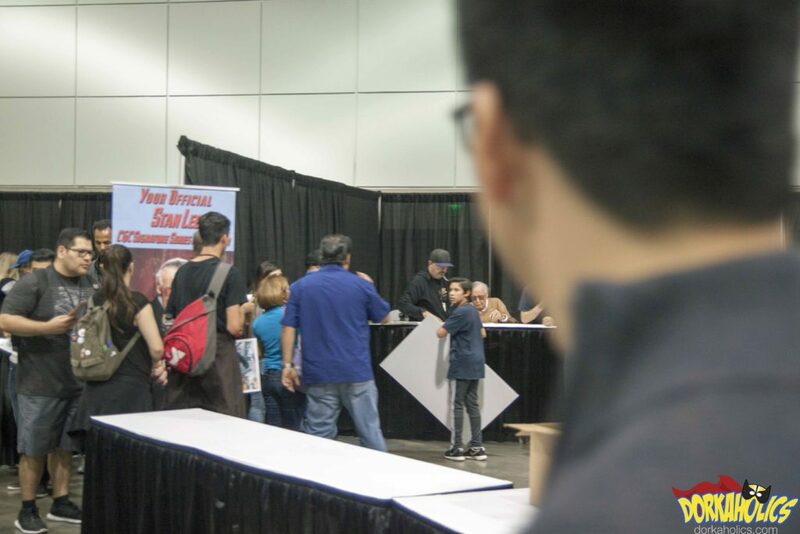 The team spots Stan Lee. Photo by Neil Bui. 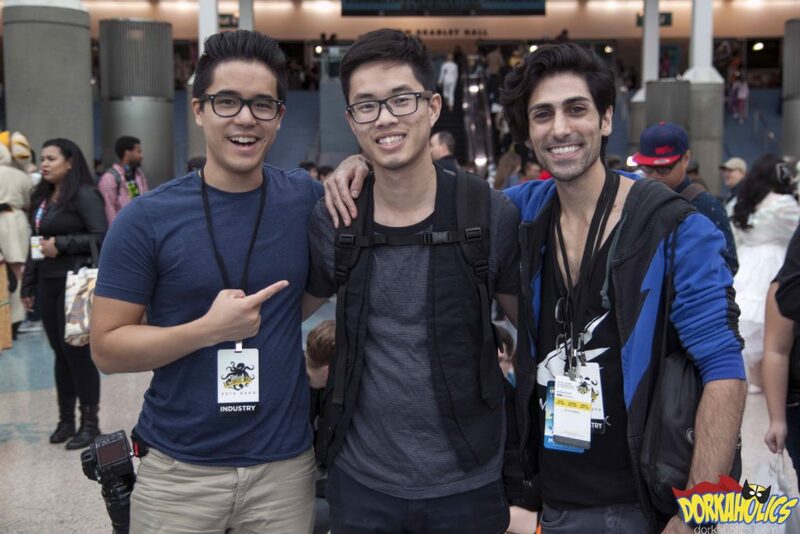 ismahawk’s Jeremy Le and Danny Shepherd take a picture with a longtime fan. Photo by Chris Im. 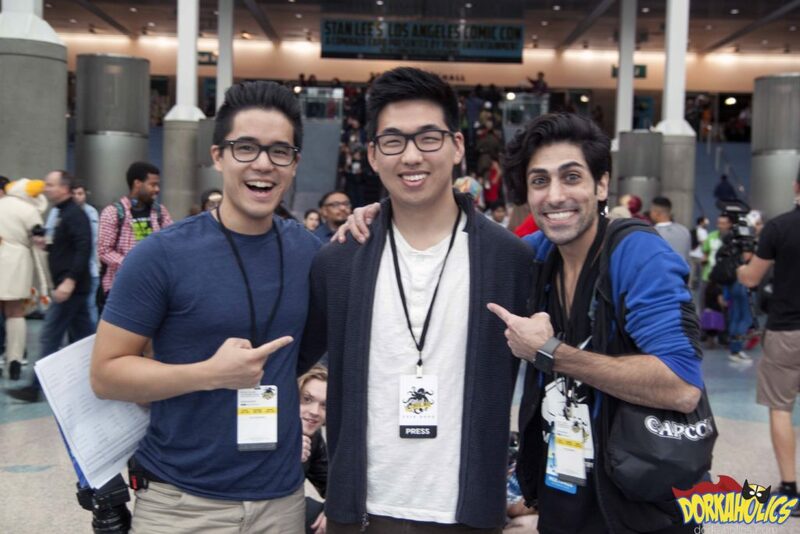 ismahawk’s Jeremy Le and Danny Shepherd take a picture with Chris Im. Photo by Neil Bui. Chris with two cosplayers, Indy and Mia. Photo by Neil Bui. 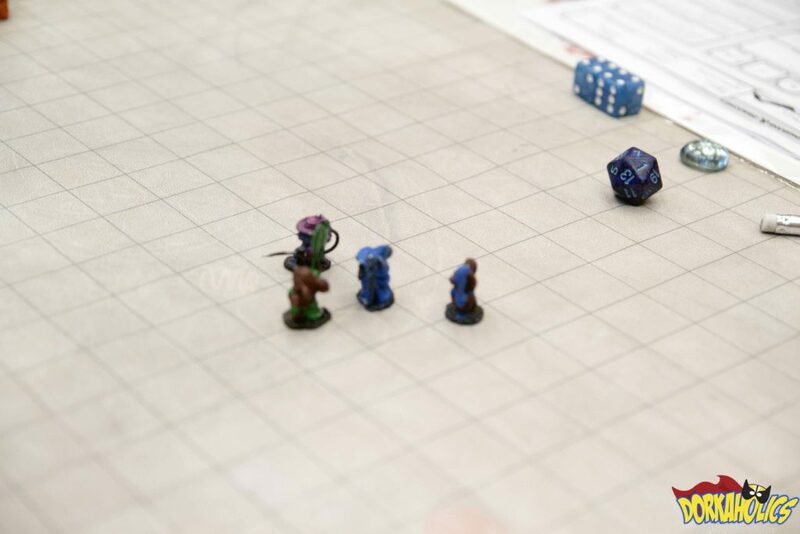 A look at the table from a game of Dungeons and Dragons. Photo by Neil Bui. Click here to see our video from the convention. Our hosts had a lot of fun talking with different attendees. Be sure to let us know what’s the next convention or event you think we should be at!